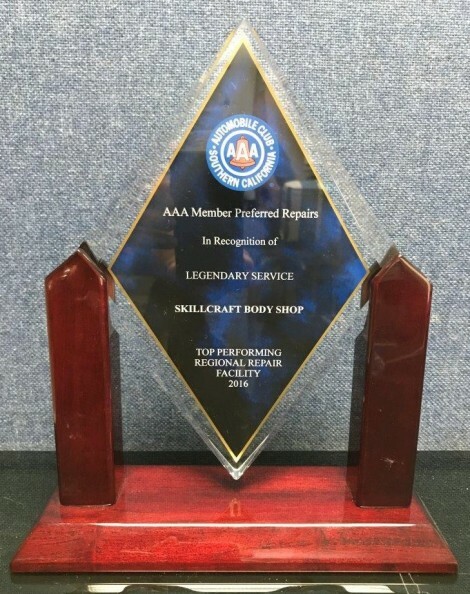 This is demonstrated with our large number of repeat customers and by being awarded Auto Club’s Outstanding Performance Award numerous times over the past decade. Car accidents are a terrible part of life. We at SkillCraft Body Shop Inc. understand the pain and inconvenience you might be going through. Since 1977 we have helped thousands of Orange County California residents get back to normal by doing what we do best… auto collision repair. Our ongoing pursuit of delivering honest, top quality repairs in a timely manner is the key to our success.